CARLSBAD — Starting next week, crossing the street along Carlsbad Boulevard will be safer for pedestrians. The city is currently installing four rectangular rapid flashing beacons along the boulevard and hopes to have them finished by the end of the month. The signs light up when a pedestrian pushes a button, in order to draw attention to the crosswalk and alert drivers to stop. 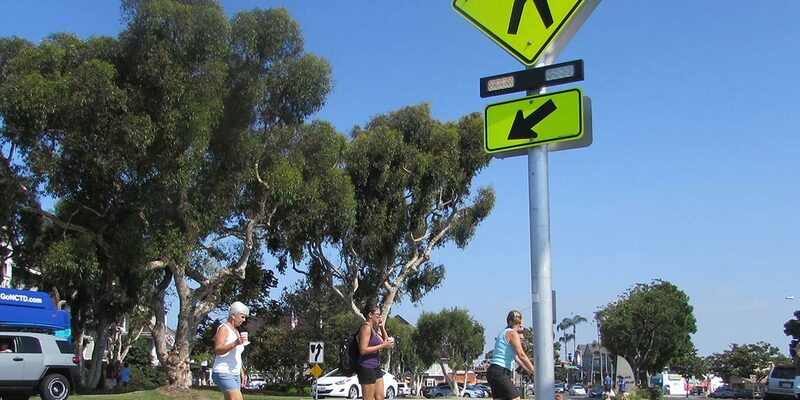 The beacons are being installed at existing crosswalks on Carlsbad Boulevard at Hemlock Avenue, Cherry Avenue, Maple Avenue and Sycamore Avenue. The first one to be installed is the beacon at the Hemlock crosswalk. Each one takes a few days to install because workers must wait for the concrete footing to dry. The actual sign installation is pretty quick, said Senior Traffic Engineer Doug Bilse. There is already a beacon installed at the intersection of Oak Avenue and Carlsbad Boulevard, which was used as a pilot program. “We wanted to make sure if the lights were going to disrupt the citizens, the intended use was going to be there, that cars were going to yield to the pedestrians,” Bilse said. “I think it’s going to be a really great project,” he said. There haven’t been complaints about the beacons. Next month, plans are in place to install two more on Grand Avenue. 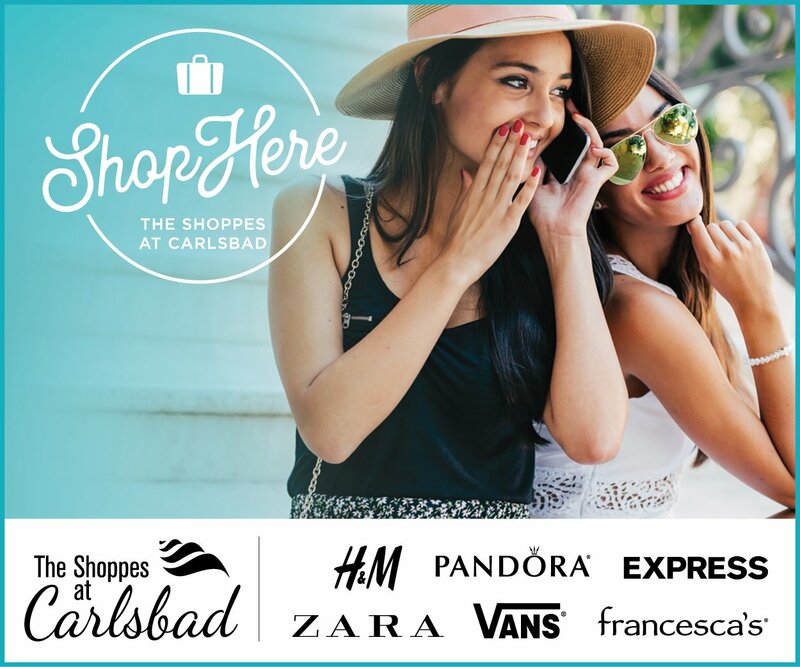 One will be in front of the retirement community, mid-block on Grand Avenue between Garfield Street and Carlsbad Boulevard. The other beacon to be installed next month will be mid-block between Roosevelt Street and State Street. The beacons are part of a two-step process to increase pedestrian safety. Medians were installed in order to give pedestrians a refuge while crossing, according to Bilse. “We constructed the medians and these beacons to enhance the experience along the coast so it’s a big goal of ours to work towards getting more pedestrians and cyclists on the coast,” said Bilse. The beacons were chosen instead of pedestrian signals because they’re more cost effective. “It’s a low cost treatment for enhancing compliance with the law. A pedestrian signal is very expensive and not much more effective,” Bilse said. The crosswalks are already in place so the beacons shouldn’t affect traffic. Bilse stressed they’ll ensure drivers comply with the law to yield to pedestrians in the crosswalk.